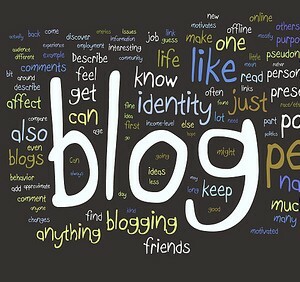 Many business owners simply don’t have the time (or the skill) to write their own blog posts, which is why this kind of content creation is regularly offered as part of an SEO package or an online marketing campaign. The key here…yes ‘key… is keywords. Your SEO service provider will be doing keyword research from month to month to determine what people are typing into the search bar to try and find your service or product. This is used for SEO of your static website content and Adwords campaigns, but it’s even more useful to help structure a content strategy that has the potential to drive enormous amounts of traffic to your website. Sure, you are the expert on the subject matter, and you will get final editing say, but if what you need written is clearly defined as part of an SEO strategy, there’s no need to actually find the time to sit down and write it yourself. In fact, it’s better not to. Regular posts, pre-planned, written as per schedule have been shown to be far more successful than sporadic posts that are not keyword based or part of an overall strategy. Then there’s content creation specifically aimed at social media. You want posts that people will like and share on social media, but have no clue how to go about achieving it…or, once again…no time nor particular skill at writing. Again, there are methods that experienced content creators use to get attention on social media and inspire people to share posts. It’s simply better to let the experts write your blogs for you – so let them take the slogging out of blogging and generate traffic, conversions, sales and ‘Shares’. Contact us at WSI OMS to help you create regular blog posts as part of your SEO and content marketing strategy. We can create a content calendar and we know what works and what tried and tested formulas will drive traffic to your website – over and over, for years to come.